We like to think that our dogs always feel great, are healthy, and happy, but sometimes they can feel under the weather or have something more serious going on. Because dogs can’t tell us when they don’t feel well, as owners it’s important to know what to what to watch for, and learn to read the signs that your dog isn’t feeling quite him/herself. So, what are the signs they aren’t feeling well, and what should you do about it? Here’s some advice that can help make things a bit more clear. Helping a sick dog can be tricky since they aren’t able to communicate with you, but some symptoms are much more noticeable and easy to catch. 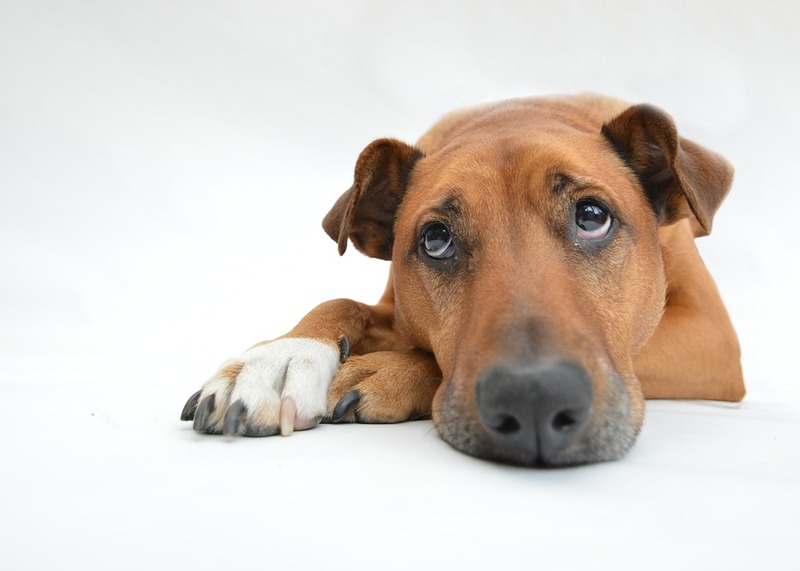 Diarrhea and vomiting are two big signs your dog isn’t feeling well. If it only happens once, then it’s probably nothing to worry about or act upon, what you need to watch for is a dog that has vomited many times in one day, or had diarrhea throughout the day. Along with these symptoms the dog may start to get lethargic, start to become dehydrated, and lose their appetite. There are all kinds of reasons these symptoms can be occurring so it's best to get your dog into the vet immediately. As well, try to encourage them to drink, and don't worry about pushing food on them. Diarrhea and vomiting can be caused by eating human food. It is vital that you check out the foods your dog should never eat to prevent this from happening again. If you have a dog who is healthy and full of energy and suddenly seems to be limping or having a hard time getting around, there’s a good chance they have injured themselves somehow. In these cases,it’s important to give your dog space, and not crowd him.Make sure he is somewhere safe where he can't fall and hurt himself further, and that his water is right there for him. Depending on how serious the injury seems, you can give it a day and see if the dog starts to recover, or you can call the vet. Just like with people, dogs can catch infections from time to time. If you should notice your dog has developed a cough, is wheezing, or seems to be having difficulty breathing, there is a good chance he may have a respiratory illness, cold, or even allergies. Give your dog a quiet, comfortable place to relax so he isn’t running around, and give the vet a call. It may be that he needs a round of antibiotics to fight his bug. Dogs are notoriously known for being big eaters who don’t really care what it is they eat. If your dog is a great eater and suddenly loses interest in food, this is the time to book an appointment with the vet. Again,a number of things could be happening. Sometimes a dog may even be turned off his food suddenly. Without seeing a vet, it’s impossible to know what’s really going on. Because your dog can’t talk and vocalize how he is feeling, it’s up to you to be aware of any signs he may display so you can act as his voice.